This book is presented in hardcover, roughly the same size as the comics. Inside, it collects cover art of the single issue volume 1-50, trade paperback volumes 1-8, Books 1-4 and Deluxe Hardcovers 1-2. There are also sketches and unused designs. If you are a collector of the comics, you already have majority of the art. The reason to buy this book is probably the commentary if you're interested in how they come up with the covers. 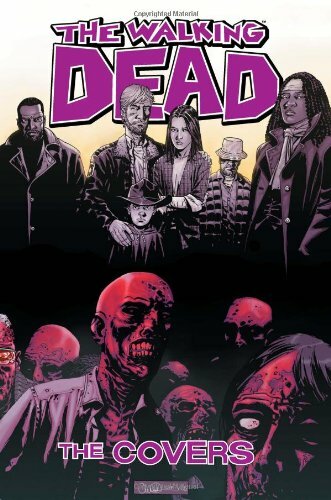 Creator Robert Kirkman, artists Tony Moore and Charlie Adlard look back in hindsight at what they like and the ones that didn't work out well. The art is beautiful but there are a few misses as well - all that are mentioned in the commentary provided. This book is more for the ultimate collectors. Casual fans probably can do without it. Besides, most of the cover art can be found easily online. I like this a lot. Great looking book. And pretty affordable. Thanks Parka. this book looks really cool. thanks for the review.